What sparked this discussion were several postings in my facebook network around Luket Ministries video from Uganda. The dance video appeared, disappeared and reappeared and in the end YouTube user suguhcane uploaded video and lyrics. 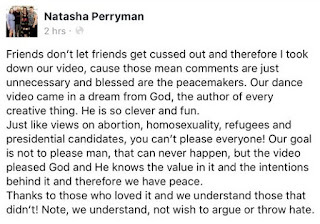 I reached out to the ministry and (it's founder) Natasha to let her know it was inappropriate to mock my country Uganda and our cultures in this video. 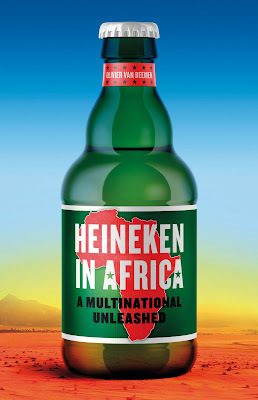 Instead of listening to actual Ugandans (and American allies who are in development work) who tried to explain cultural appropriation, White Savior Complex and simply the need for organizations in African countries to be respectful and treat people with dignity, the creative director was dismissive and replied with “Everything posted is indeed controversial these days. We had our Ugandan pastors and staff view and edit before sharing to be respectful and promote missions. Please feel free to remove it from your feed”. 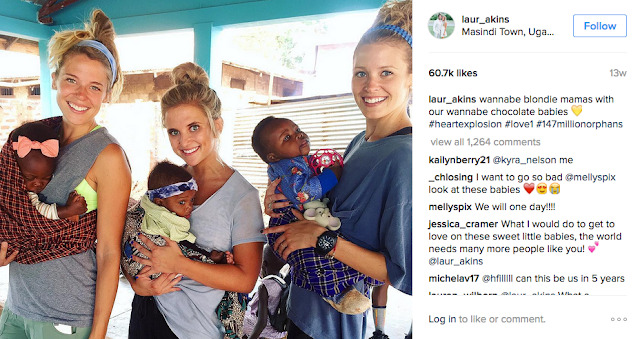 In connection with this video other users shared Instagram images of participants of the mission organization 147 million orphans that started their work in Uganda and since then has expanded. The #heartexplosion of Madonna meeting ‘blondie mamas’ from Southern US. 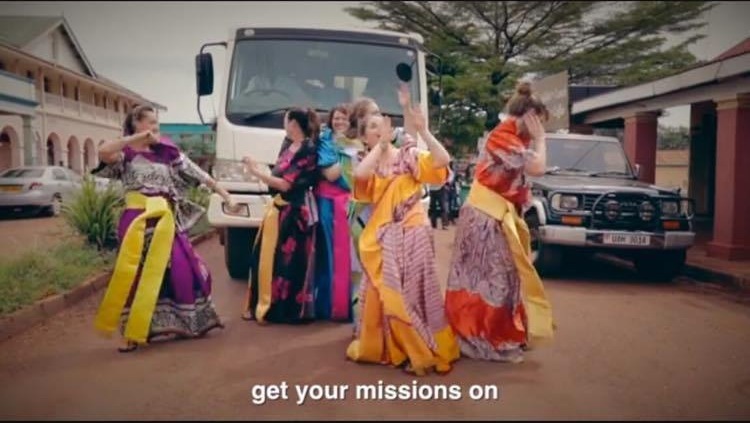 Uganda has been in the news during the last couple of years in connection with missionary activities and their role in anti-gay legislation in the country. I suppose we can say that something about the combination of right-wing American Christianity and Uganda’s climate of post-colonial disorder has been uniquely dangerous and unstable, like mixing bleach and ammonia. It’s long past time for the forces of seculrism and tolerance, both in Africa and the West, to fight back. That probably explains why Uganda has become such a fruitful playground for missionary endeavors which also raises important questions for the aid industry: Not only is the missionary sector fairly unregulated, but because it invokes a higher purpose (‘serving’ is used most of the time instead of ‘volunteering’ or similar terms), it seems to dodge questions about accountability and effectiveness, especially in the field of orphan and orphanage tourism which has come under increased scrutiny around the globe. I wrote about the challenges that our ‘post-factual’ era poses for communicating development and fostering critical debates in a recent post and missionary work can easily take these challenges to the next level:‘Our aim is not to please man, that can never happen, but the video pleased God’, as Luket Ministries’ Natasha Perryman pointed out. I just hope God also applies OECD criteria for effective aid when he judges such efforts…but irony aside, it is concerning that the missionary sector very often does not do what they praise in terms of communal engagement and participatory learning and that a lot of their work in Uganda and elsewhere seems to be immune to critical debates that have been going on in the development or humanitarian sector for a long time. Laura Akins posts on Instagram easily scored tens of thousands of likes. As with many social media campaigns, dance videos or orphan selfies require a lot of effort to make them look as authentic as possible (isn’t there something about vanity in the Good Book?!). In the end, those representations reveal how ‘pure missionary work’ is embedded in contemporary mediatization efforts, happy to use technology to spread the word, but less prepared to use it a two-way communication channel to engage more critically with ethical issues about top-down development work in the orphanages of Uganda. I want Ugandans and Africans to see what we are allowing and what we are accepting to happen in our own country, in our continent. Why are our communities allowing organizations like this to exist and thrive? Why are we allowing our children to take part in music videos that belittle their identities? I want future bright-eyed white Americans (which I find it strange don’t want to volunteer in Harlem or Detroit or Oakland or Tulsa here in America with black children and black communities who deserve just as much help and attention as the children in Jinja or Kampala or Lira but want to buy a 2,000 ticket to fly thousands of miles to Uganda to take pictures next to smiling black babies) to ask themselves and really think, THINK HARD, about why you are there and who are there for? Are you really there to support Ugandans on the ground or you there for yourself—for your ego, your resume, your latest Facebook profile photo or latest Instagram post taken with a beautiful Ugandan child hoisted on your back? *Who* are you there for really?